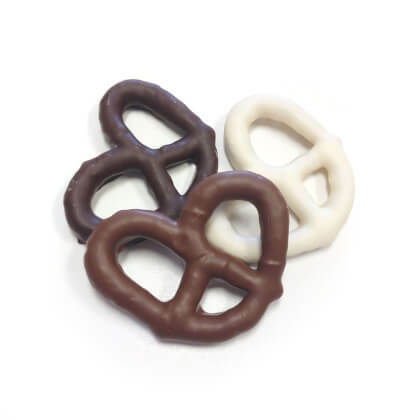 Gourmet milk, dark or white chocolate smothered pretzels. The perfect balance of chocolate, salt and crunch! Pearls .5 lb box.